Course Website: Official Website - Visit Half Moon Bay (Ocean)'s official website by clicking on the link provided. 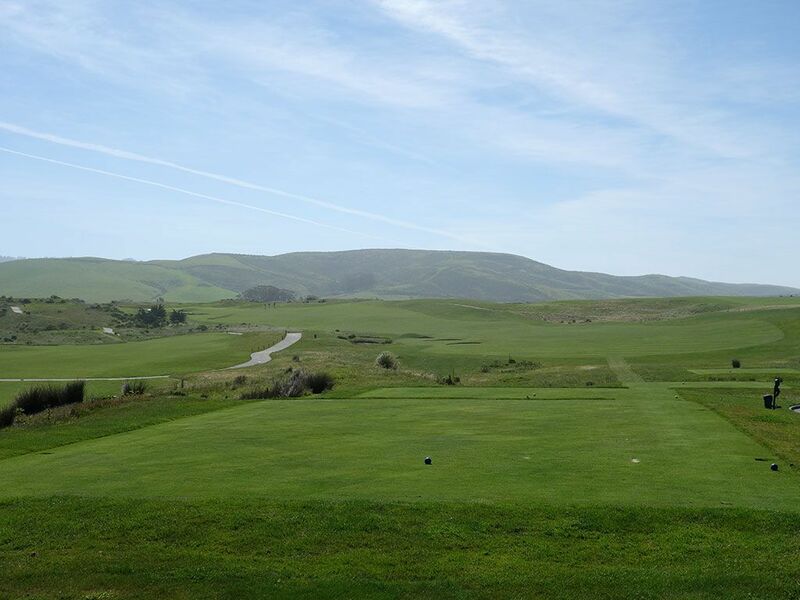 Accolades: Ranked 20th in California on Golf Course Gurus' Best in State rankings. 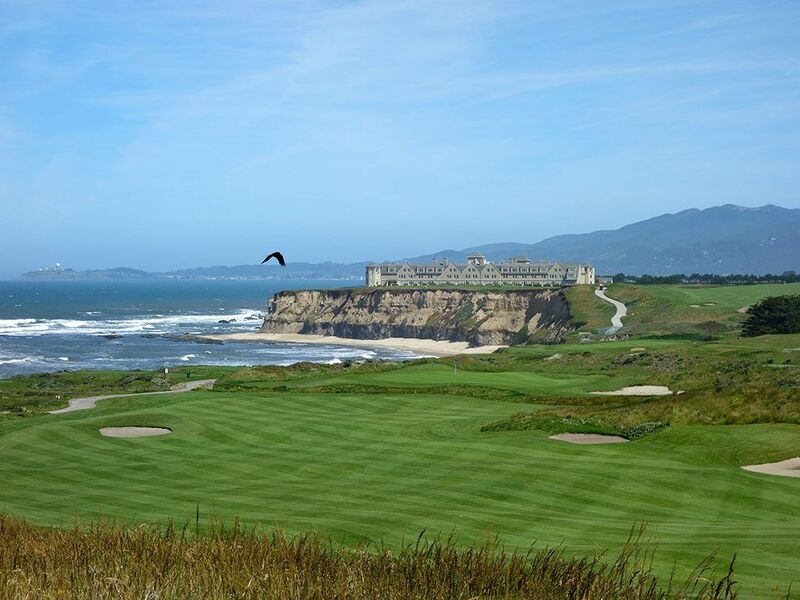 What to Expect: Half Moon Bay enjoys one of the spectacular locations on California's rugged west coast. 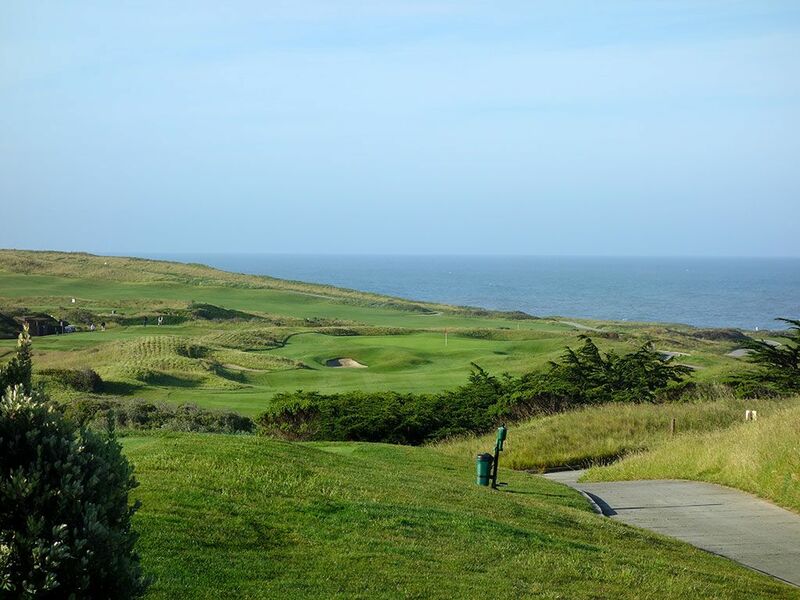 Located just 30 miles south of San Francisco, Half Moon Bay features 36 holes of golf and an iconic Ritz Carlton hotel that overlooks the Pacific Ocean. The newer Ocean course is pretty wide open with fescue acting as a buffer between the holes and around the tee boxes. Being right on the coast, fog and wind are common place and one of Half Moon Bay's greatest defenses. 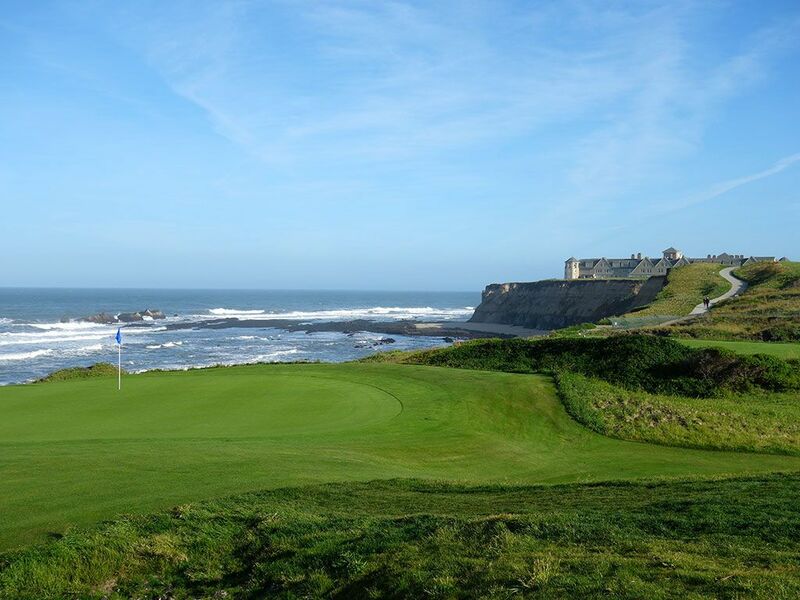 There are views of the ocean from virtually every hole on the course with the final three holes being nothing short of spectacular as they play along the rocky coastline cliff. 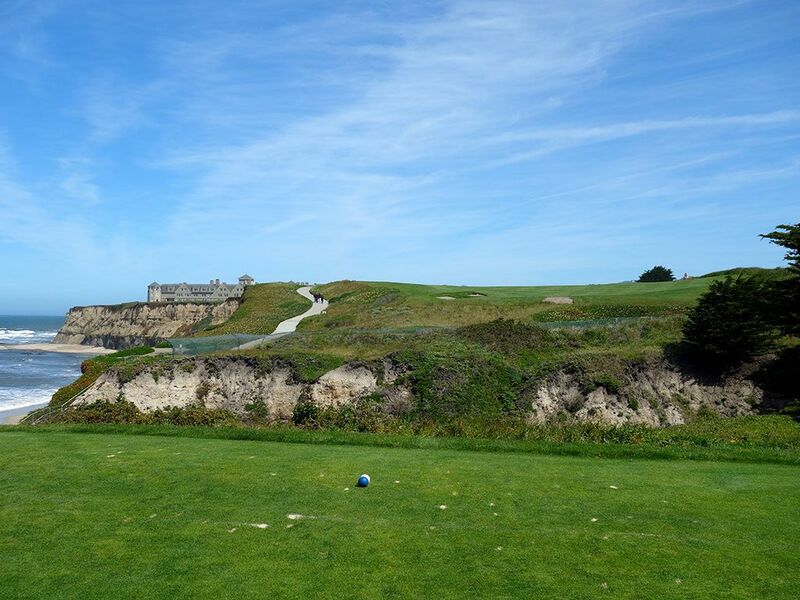 If ocean views are your thing, Half Moon Bay will not disappoint. While I was hoping the course would have greater architectural merits for such a stunning piece of property, the Ocean course is still a worthy play and visually stunning. Signature Hole: 18th Hole – 533 Yard Par 5 – While not as dramatic as the closing hole on the Old course, the Ocean's finisher is impressive in its own right. 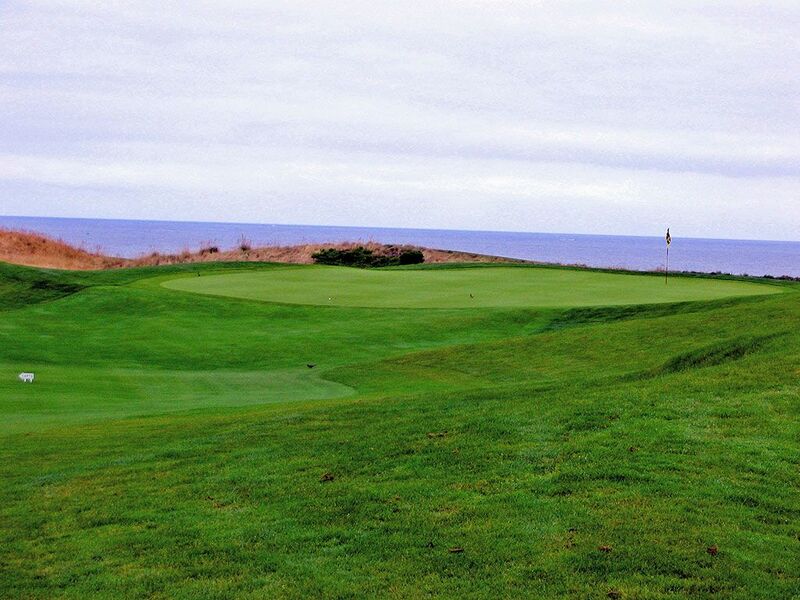 With the ocean flanking the left side from tee to green players are faced with an uphill climb on their drive to a fairway that is mostly blind. The fairway bends left along the coastline as it works its way to the slightly raised green that rests in the foreground of the view that is dominated by the towering Ritz Carlton hotel in the background. 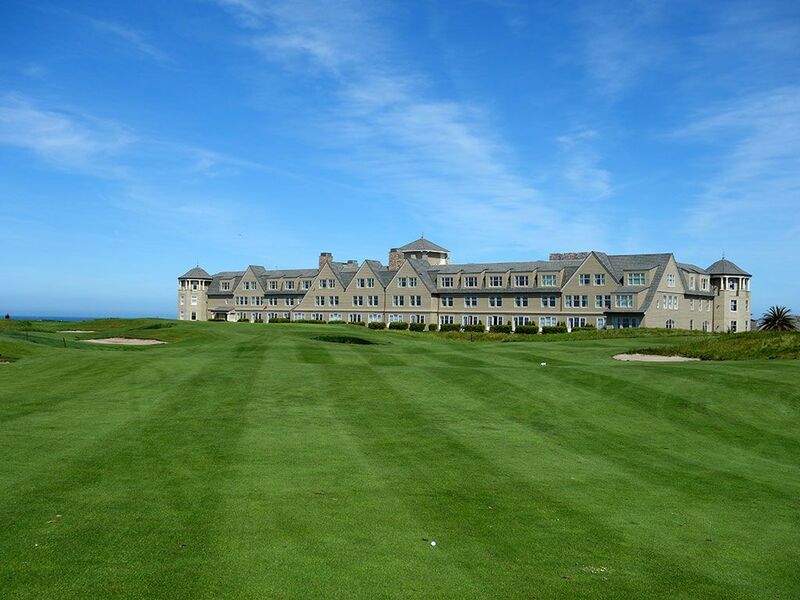 Like the Old course at St. Andrews, Half Moon Bay's most recognizable views are associated with hotels rather than the course itself. Best Par 3: 17th Hole – 184 Yards – The final one-shotter at the Ocean course wets your appetite after the second hole where you stand with a perfect view of the 17th green that boasts the ocean, coastline, and Ritz in the background. 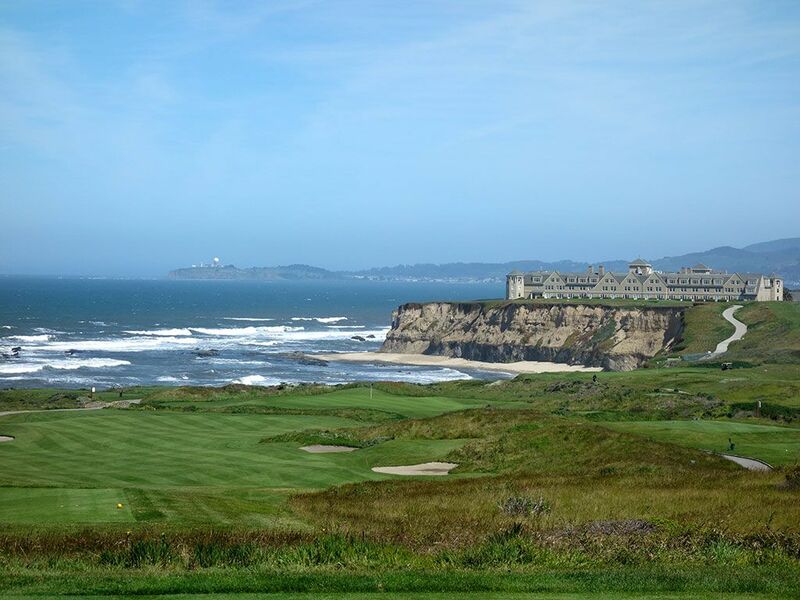 On the tee players have the Pacific Ocean framing the left side and which dominates your attention. 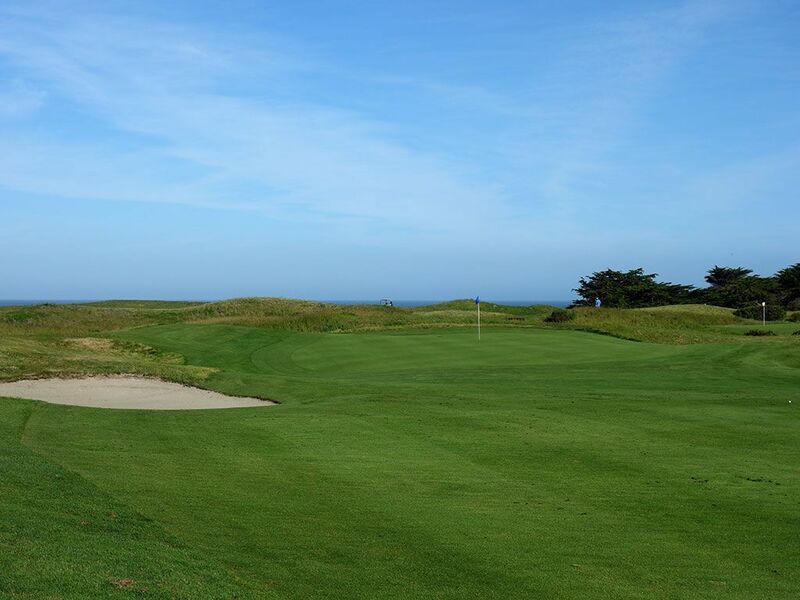 Wind often is coming in from the left and can be stiff which begs the question whether you have the guts to start a ball at the coastline and trust the wind to bring it back to the putting surface. It is a dramatic scene that is perfectly suited for late in the round. 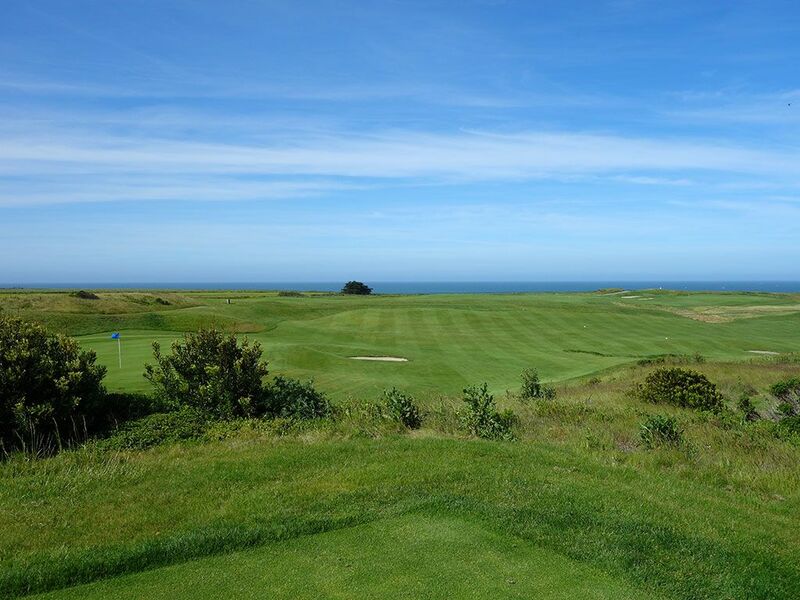 Best Par 4: 16th Hole – 403 Yards – On a course chuck full of great views, the scenery offered on the elevated 16th tee stands as one of the finest settings on the west coast. 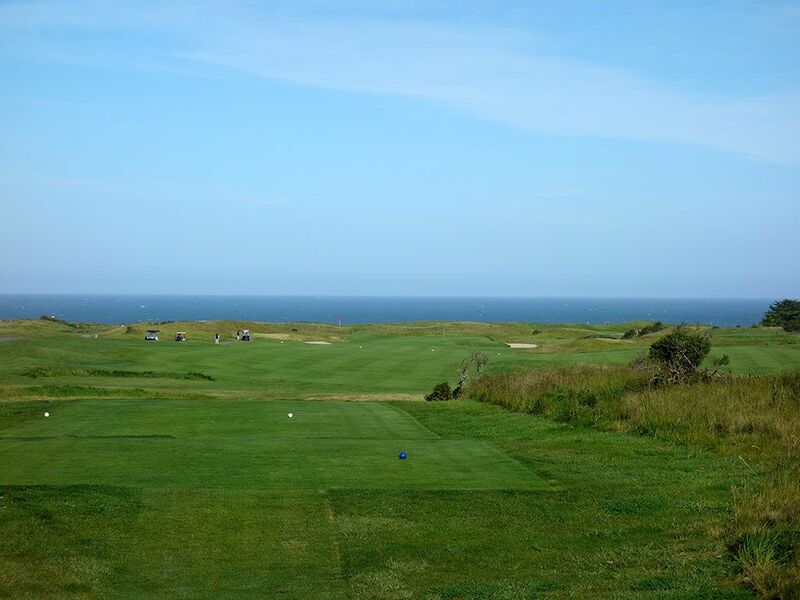 The downhill tee shot plays straight towards the ocean before bending right and following the natural terrain to a green site fronted by a hazard ditch. Depending on the wind and your length off the tee, driver may not be the best play for setting up your approach shot. Trouble lines both sides of the fairway so you'll want to keep it in the short stuff for a legitimate chance at par here. 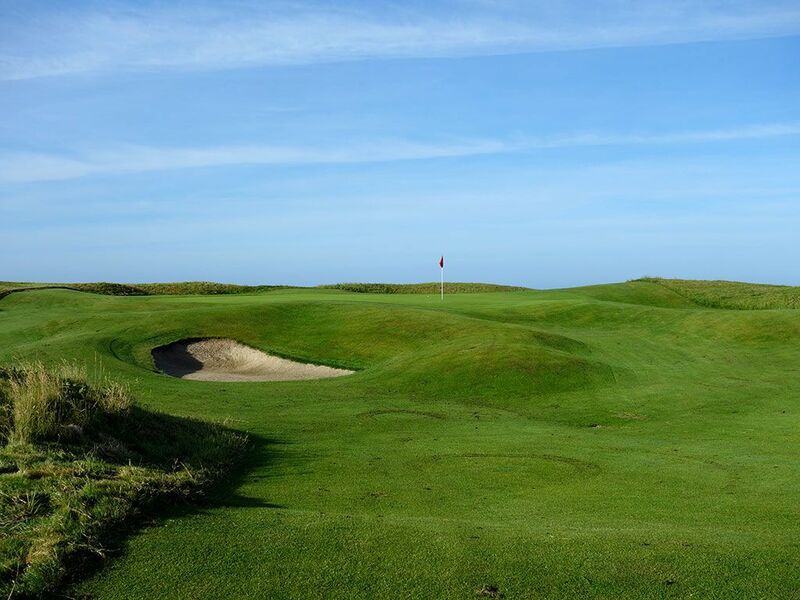 Best Par 5: 14th Hole – 527 Yards – With a chance of playing with the wind to your back, this gentle dogleg left par five is a pleasure to play. 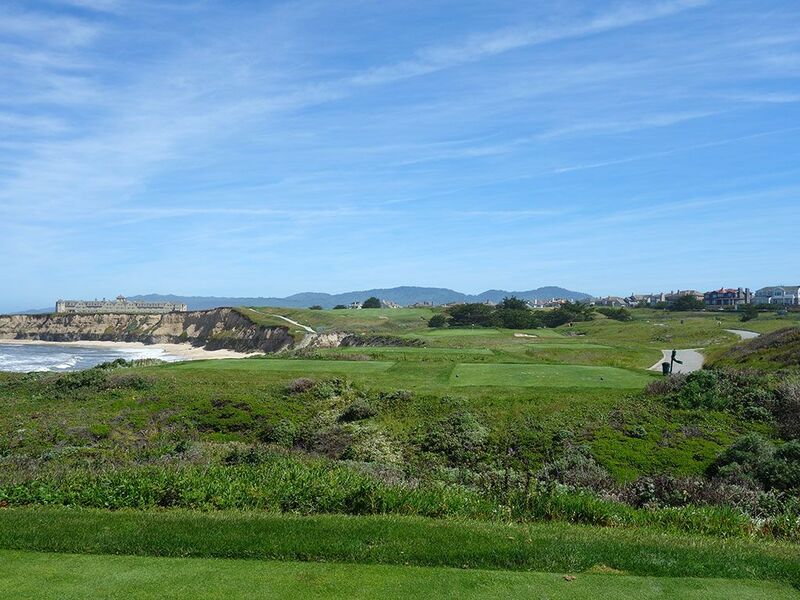 The fairway rises steadily uphill from tee to green which can makes club selection interesting when calculating the wind that Half Moon Bay is famous for. A bomb off the tee can open the door for reaching the putting surface in two and card a birdie before making the final turn on the property and heading back to the clubhouse/hotel. The back nine is clearly the superior side of the two at the Ocean course and delivers some very memorable holes to enjoy. 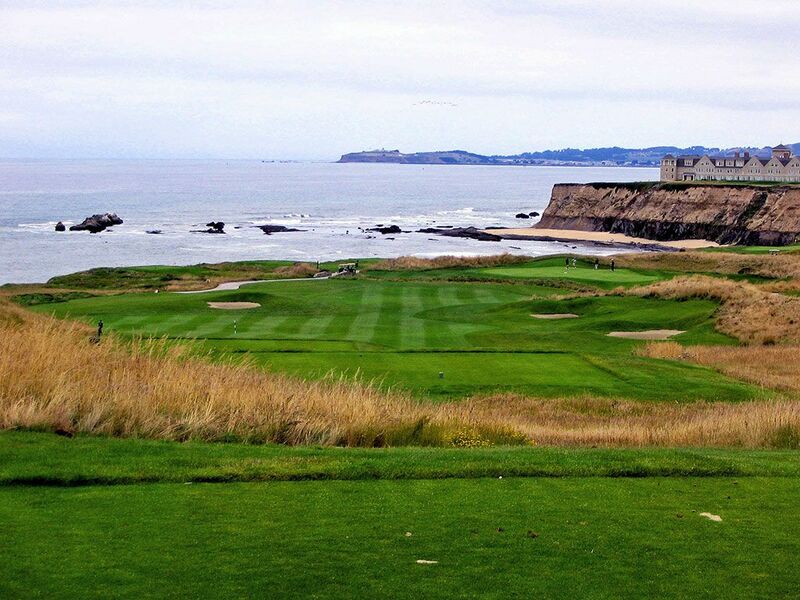 Birdie Time: 2nd Hole – 344 Yard Par 4 – Half Moon Bay wastes no time offering an intriguing hole that will have you contemplating how to play it off the tee. The downhill tee shot begs for players to grip it and rip it but the tall waste grass framing the fairway can cause some players to swing with trepidation. Players laying up off the tee still have a healthy forced carry to deal with that can increase in difficulty when the wind is pushing in and from the right off the ocean. Any tee shot that finds the fairway will set up a short approach to the green and thus a great chance to go pinseeking. A birdie here is a great momentum builder for the rest of round. Bogey Beware: 5th Hole – 465 Yard Par 4 – This hole is hard; it's really hard. Generally playing dead into the fan, the effectual yardage of this par four can take it from a two-shotter to a three-shotter in a hurry where you'll find 90% of players coming up short when attacking this green in two. Avoiding bogey here requires scrambling for most players so hopefully you practiced your short game before teeing off because you are going to need it.